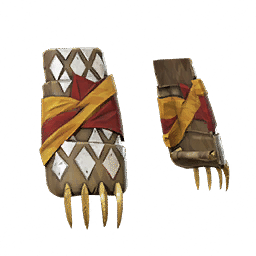 Wargloves are a type of weapon in Absolver. They don't grant you access to any new moves, but they do allow you to use a new combat deck, and deal more damage. 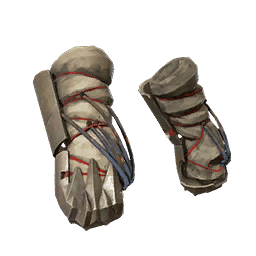 Barbarian War Gloves 3.2 3 380 ♦---------- 1 B D S C Tearan Chieftains use these wargloves when going into battle. Can cause severe trauma on the body of an enemy. 1.5 2 200 -♦--------- 1 B C C C Metal and painted wood? these War Gloves are typical of Newforest Hunters. 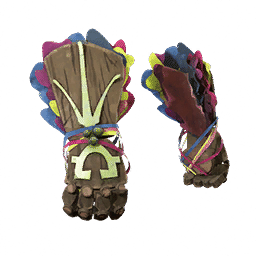 Bear Claw War Gloves 1.3 3 240 -------♦--- 0.9 C S D C Ripan bears were revered in the Lake Tribes as savage but noble beasts. 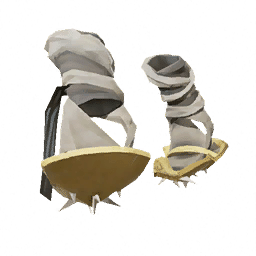 They inspired these wargloves, which can tear their opponent into shreds. 2.7 4 340 --------♦-- 0.8 S D B C The Adalian Phalanx was sent on the front lines of the Barbarian Wars, rampaging through enemy ranks with their fearsome wargloves. 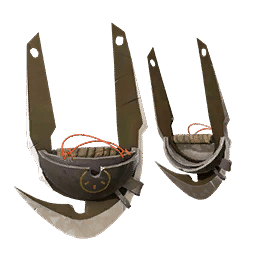 Ice Grinder War Gloves 2.2 3 350 -♦--------- 1 B B A C When winter comes in the Ice Marshes, men often have to break through solid walls of ice which form at night, using metal plated gloves. 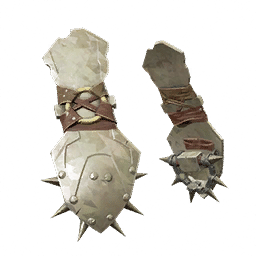 Spike Turtle War Gloves 1.8 3 310 -----♦----- 0.9 C B B B Hard Tearan steel. Pikes on all sides. You don't want to get hit by these Wargloves. 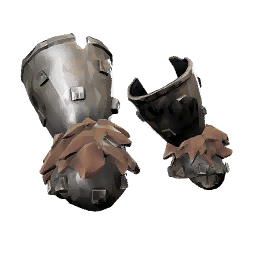 Priest War Gloves 0.8 2 250 ♦---------- 0.6 C A D B Uringal Preists also practiced the arts of war. Lightweight but are quite fragile and will break quite easily.